Each year, thousands of lesbian, gay, bisexual, transgender and intersex (LGBTI) asylum seekers apply for asylum in EU Member States. During the Fleeing Homophobia project, Sabine Jansen (COC) and Thomas Spijkerboer (VU University Amsterdam) have undertaken a comparative research about how these applications have been dealt with. Further to their findings, they have formulated policy recommendations. The research findings will be shared with a wider audience. The consequences of these findings for policy makers, decision makers, the judiciary, lawyers, NGO’s and activists will be discussed. Academics and people working in practice will share insights and experiences, so as to make these mutually fruitful. Speakers include Jenni Millbank (University of Technology, Sydney), Nicole LaViolette (University of Ottawa), Sabine Jansen (COC) and Thomas Spijkerboer (VU University Amsterdam). Further information about the programme, participation and other details of the conference will be published on this website as of 1 April 2011. 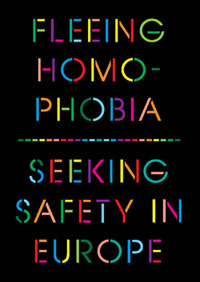 Fleeing Homophobia is a project of COC Netherlands and VU University Amsterdam, in cooperation with the Hungarian Helsinki Committee, Avvocatura per i diritti LGBT/ Rete Lenford, and the European Council on Refugees and Exiles. 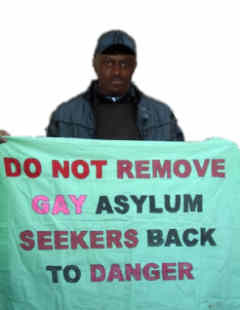 Fleeing Homophobia is funded by the European Refugee Fund, the Dutch Ministry of Justice, and the participating organisations.